Since joining the firm in 1980, Mr. McKeever has represented a broad cross-section of clients. His practice includes extensive experience in civil litigation before the courts and administrative agencies. 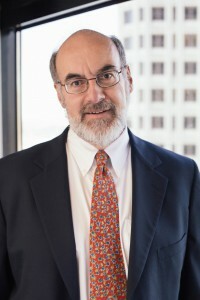 He provides guidance and litigation services relating to campaign finance and election law before the Federal Election Commission and the Alaska Public Offices Commission. He has handled matters related to these issues before the Alaska Superior and Supreme Courts. His clients have included members of Alaska’s Congressional Delegation and their campaigns as well as candidates for local and statewide office. In addition he has represented groups and individuals involved in campaign and election related matters including a number of ballot measure groups. Mr. McKeever was lead counsel for the 2010 U.S. Senate campaign which ran the first successful US Senate write-in campaign in over 50 years. Mr. McKeever also has substantial experience in defense of Alaskan employers in workers compensation matters before the Alaska Workers Compensation Board. The Alaska Workers Compensation Appeals Commission and the Alaska Courts. His clients have included ConocoPhillips, Liberty Mutual Insurance, Ace and other employers and insurers. Mr. McKeever also has advised numerous parties on complex business and real estate transactions and has litigated multiple banking and environmental/natural resource issues. He has advised a number of business enterprises on business structure and related issues. Previously, Mr. McKeever was Chief of Staff for United States Senator Ted Stevens in Washington, D.C.
Mr. McKeever is a member of the Alaska Bar Association and the Washington State Bar Association. He served several years on the Alaska Civil Jury Instructions Committee by appointment of the Chief Justice. Lake and Peninsula Borough v. Oberlatz et al., 329 P.3d 214 (Alaska 2014). Hughes v. Treadwell and Salmon, et al., 328 P.3d 1037 (Alaska 2014). Miller v. Treadwell and Murkowski, 245 P.3d 867 (Alaska 2010). Pebble Ltd. Partnership. v. Parnell, et al., 215 P.3d 1064 (Alaska 2009).